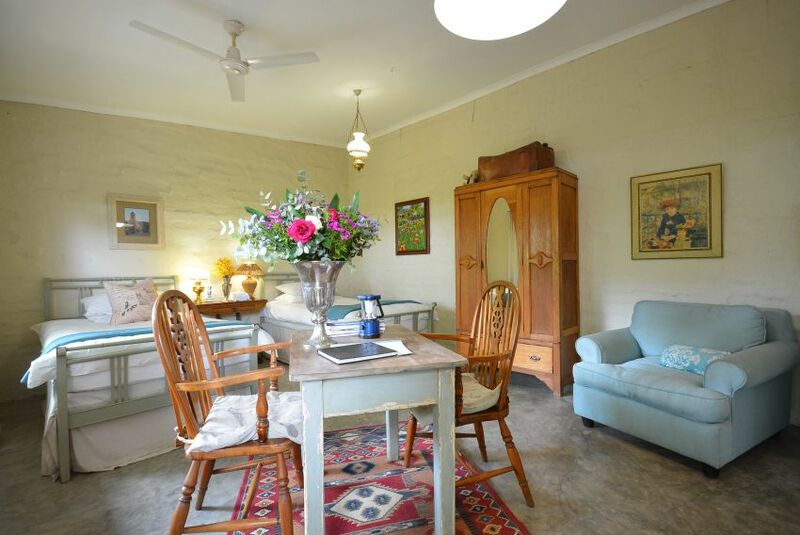 Owners Vaughan and Belinda McLintock make a great team – their complimentary talents have combined to convert shabby stable blocks into elegant French farm style self-catering units to which enchanted guests return time and again. Perfectly situated just far enough from the madding crowd of White River and down the road from Uplands, the view from their dam across the hills is an instant de-stressor and un-winder for guests escaping harried city lives. Vaughan and Belinda’s laid-back, relaxed hosting ensures that time spent at Lyttle Irving is a real stop, pause, engage moment. 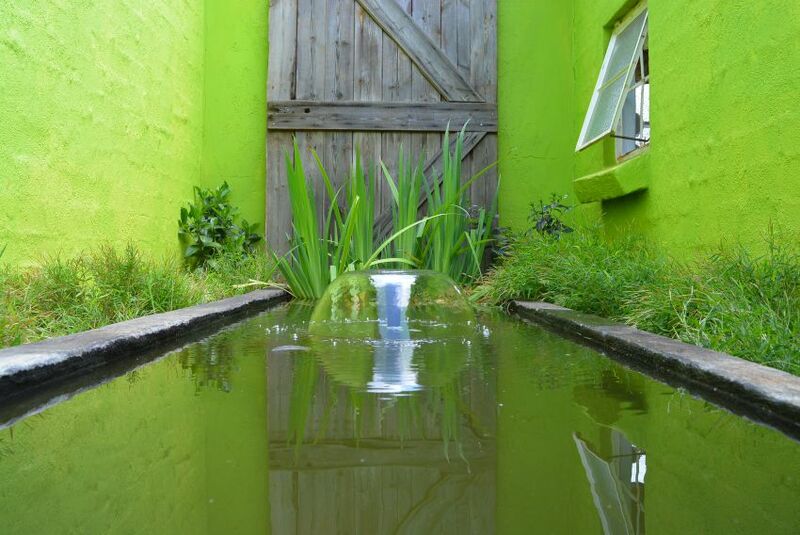 Stepping through the arched entrance doors into the cloistered, leafy courtyard; the serene trickle of water echoing from the pond slowly seeps into one’s consciousness. Belinda’s quirky décor skill includes adorning outside walls with rusty old workshop tools, which have never looked so desirable! 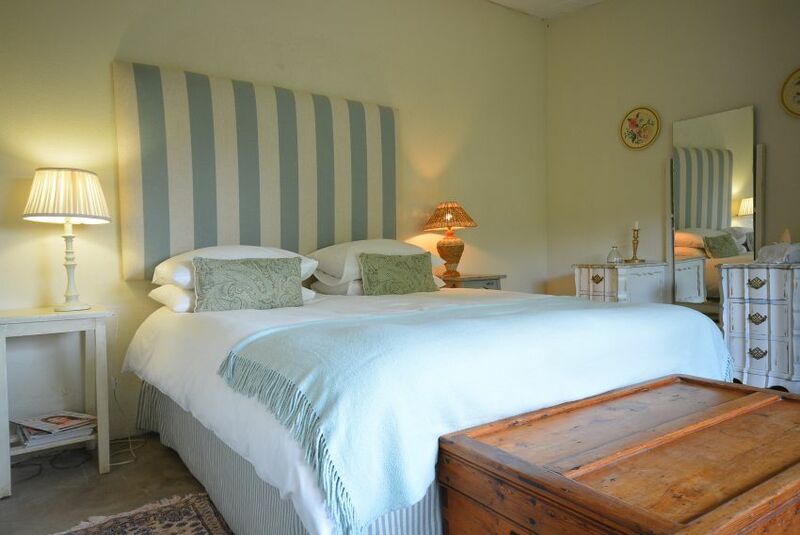 Each unit has its own private garden and braai and all the units are fully equipped for self-catering and have both a bath and shower. They’ve recently installed TV’s in each unit but with so much going on, there is little danger of square-eyed kids being glued indoors. Guests are encouraged to walk down to the dam, feed the chickens, ducks and rabbits; to kick back in the verdant, lush grounds and to just breathe in the tranquility. The McLintocks have achieved the seemingly impossible – a stylish, peaceful place elegant enough for adults but perfect for kids too. Small pets are welcome by arrangement.